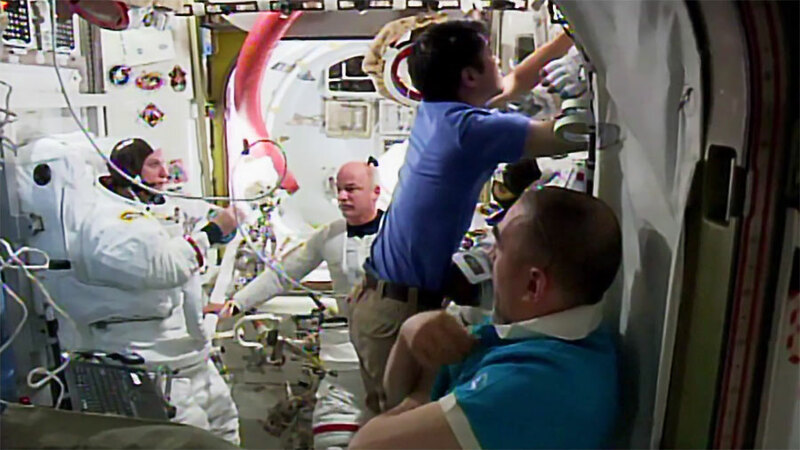 Japanese astronaut Takuya Onishi is at work inside the U.S. Destiny laboratory module. Astronauts Kate Rubins and Takuya Onishi are continuing more eye checks today in the middle of day-long orbital plumbing work. Commander Anatoly Ivanishin packed trash in a resupply ship and researched a variety of Earth and space phenomena. Rubins and Onishi scanned each other’s eyes today using an ultrasound. Doctors on the ground assisted the duo and will use the data to determine how living in space affects vision and the shape of the eye. The pair also participated in the Story Time From Space video series for children demonstrating simple physics experiments. 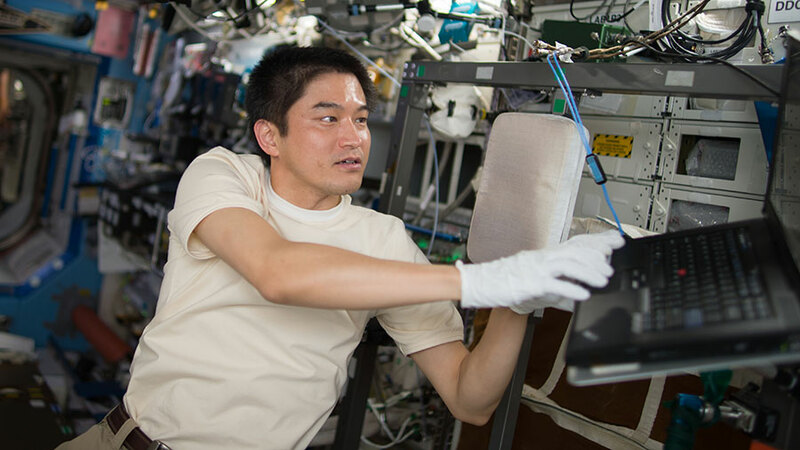 Onishi spent most of his day replacing parts such as sensors and valves in the bathroom, or the Water and Hygiene Compartment, located in the Tranquility module. Rubins analyzed the quality of the station’s water supply and sampled for microbes, silica and organic material. Ivanishin, a veteran cosmonaut on his second station mission, is getting the Progress 63 cargo craft ready for departure next month. He transferred cargo and trash to and from the resupply ship then updated the station’s inventory management system. The commander also spent some time exploring new ways to monitor natural disasters, how the digestive system adapts in space and detecting orbital debris and micrometeoroid impacts on the station. 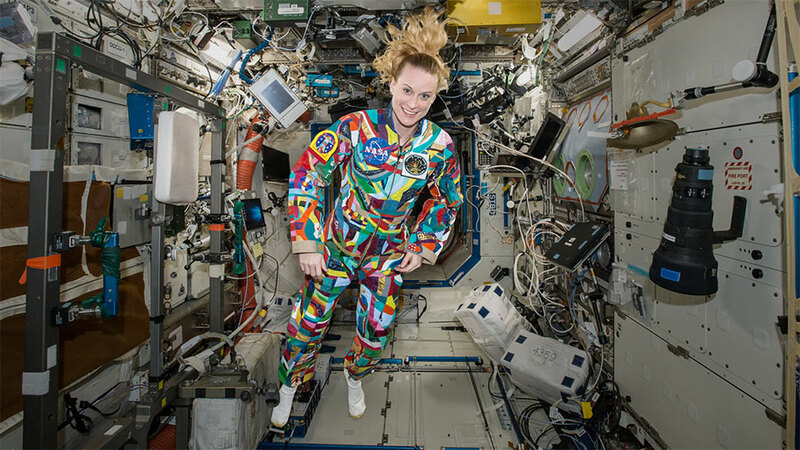 Astronaut Kate Rubins wears a hand-painted spacesuit decorated by patients recovering at the MD Anderson Cancer Center to raise awareness about the benefits of pairing art with medicine. The Expedition 49 crew is helping the pharmaceutical industry improve drug design while also helping researchers understand the properties of materials burning at high temperatures. The International Space Station‘s microgravity environment helps reveal new characteristics of physical and organic processes cloaked by Earth’s gravity. Scientists, doctors and engineers use these observations to design products and procedures to benefit humans living on Earth and in space. The new Eli Lilly-Hard to Wet Surfaces experiment is researching how different materials dissolve in water. NASA astronaut Kate Rubins set up a camera to automatically photograph the process today using six samples. Results could benefit how pills are designed improving drug delivery inside the body. Japanese astronaut Takuya Onishi swapped samples for the Group Combustion experiment inside the Electrostatic Levitation Furnace. The furnace is a device that observes and measures the thermophysical properties of materials heated to high temperatures using lasers. Onishi is also closing out the Mouse Epigenetics study and cleaning up the Cell Biology Experiment Facility. The life science facility contains an incubator with an artificial gravity generator. Commander Anatoly Ivanishin continued checking out Russian laptop computers and life support systems today. The veteran cosmonaut also transferred gear from a cargo ship and wrapped up a 24-hour data recording session for the Cosmocard blood circulation study. Astronauts Kate Rubins and Jeff Williams work on spacesuits in the Quest airlock. 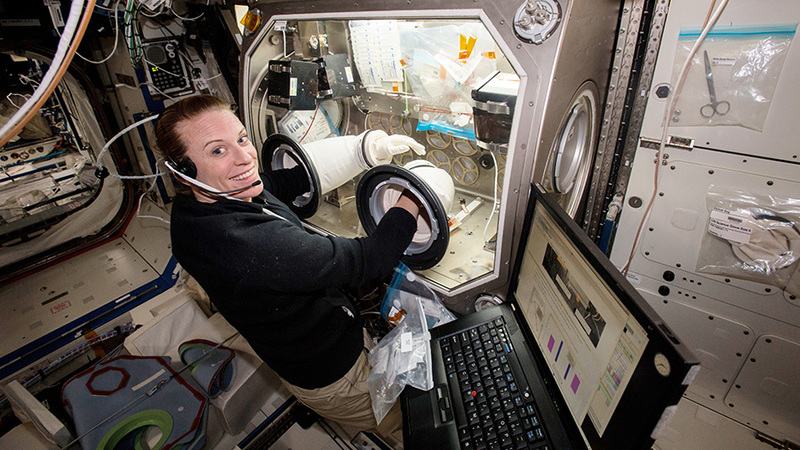 Astronaut Kate Rubins conducts research for the Heart Cells experiment inside the Microgravity Science Glovebox located in the U.S. Destiny lab module. 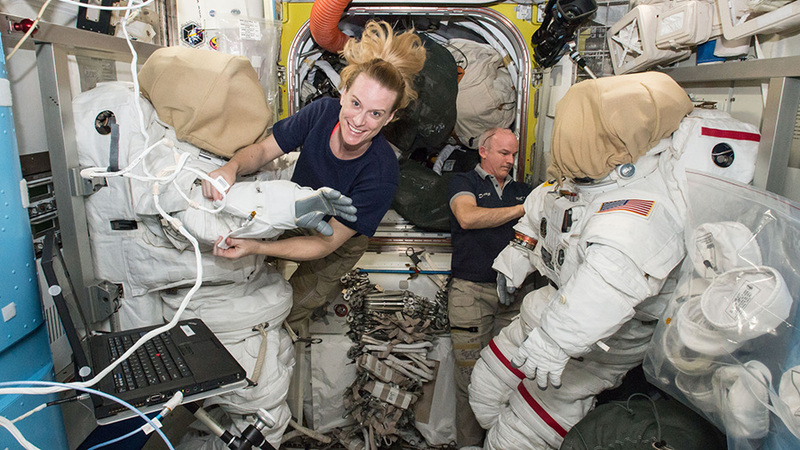 The crew aboard the International Space Station continued exploring the numerous ways living in space affects the human body and other organisms. The station residents also participated in an emergency simulation exercise. 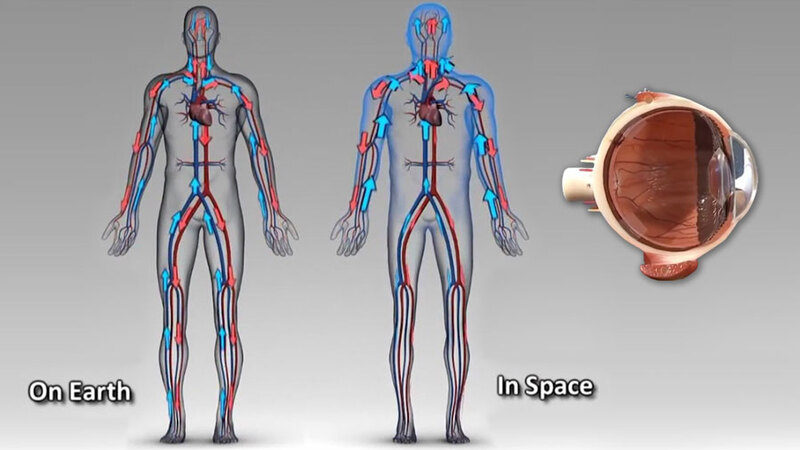 Commander Jeff Williams and Flight Engineer Oleg Skripochka this week are exploring fluid shifts from an astronaut’s lower body to the upper body during long-term space missions. This phenomena that occurs in microgravity increases pressure on a crew member’s brain and eye structure potentially affecting vision. NASA astronaut Kate Rubins relocated an incubator that houses Heart Cells research samples from one science rack to another. Those samples will be analyzed on Earth when the SpaceX Dragon returns the research at the end of August. Japanese astronaut Takuya Onishi continued the upkeep of an experiment that is researching genetic alteration in mice and their offspring due to the microgravity environment. All six Expedition 48 crew members joined each other in the afternoon to practice their response to an unlikely emergency situation. The astronauts and cosmonauts practiced communication and coordination in conjunction with Houston and Moscow control centers in response to emergency simulators. The Cygnus spacecraft is pictured arriving at the station March 26. The tip of the Canadarm2 that captured Cygnus moments later is at top right. 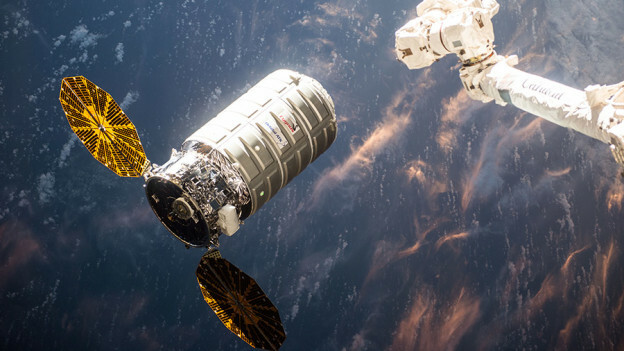 NASA Television will provide live coverage of the departure of Orbital ATK’s Cygnus cargo spacecraft from the International Space Station beginning at 9 a.m. EDT on Tuesday, June 14. 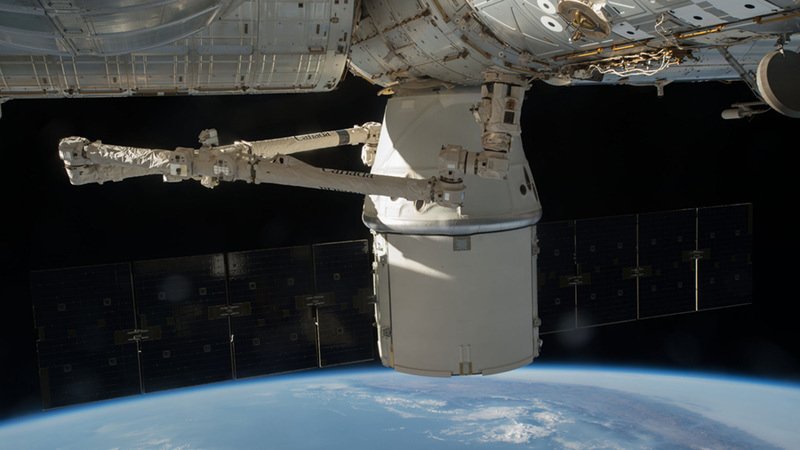 Release from the space station’s Canadarm2 is scheduled for 9:30 a.m.
About five hours after departure, the Saffire-I experiment will take place onboard the uncrewed cargo craft. Saffire-I provides a new way to study a realistic fire on a spacecraft. This hasn’t been possible in the past because the risks for performing such studies on crewed spacecraft are too high. Instruments on the returning Cygnus will measure flame growth, oxygen use and more. Results could determine microgravity flammability limits for several spacecraft materials, help to validate NASA’s material selection criteria, and help scientists understand how microgravity and limited oxygen affect flame size. The investigation is crucial for the safety of current and future space missions. For more information about Orbital ATK’s mission, visit: https://www.nasa.gov/orbitalatk. 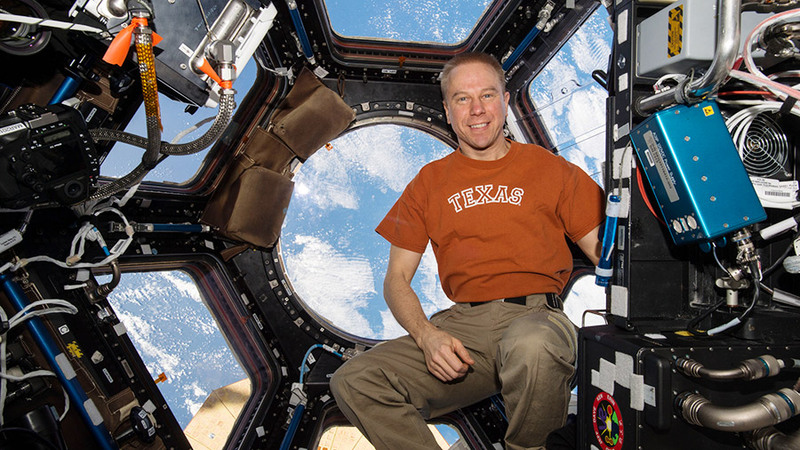 Commander Tim Kopra, from Austin, Texas, poses inside the cupola as the station orbits over the Earth below. 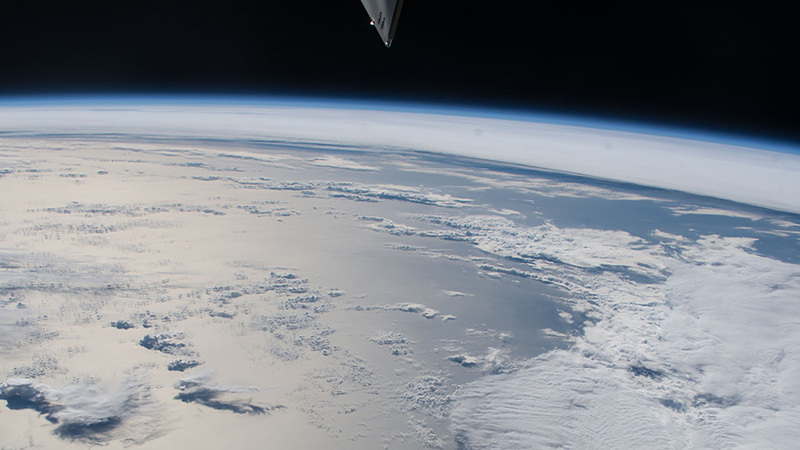 A new wave of Cubesats was shot into space today for a wide variety of Earth observations and communications research. The crew also explored life science and worked on high-flying plumbing tasks. Today’s set of Cubesat deployments from the Kibo lab module’s airlock was the second of three consecutive days of deployment operations. The Dove Satellites deployed today are built and operated by Planet Labs Inc. and take images of Earth for several humanitarian and environmental applications. Back inside the International Space Station, the crew took bone density measurements in mice in the Microgravity Science Glovebox to learn how living in space affects muscles and bones. The Rodent Research-3 experiment is testing an antibody used on Earth that may prevent muscle and bone wasting in space possibly improving the health of astronauts and humans on the ground. The Waste and Hygiene Compartment (WHC), one of the orbital lab’s restrooms, experienced a problem last week requiring some part replacement work. That maintenance work coincided with the installation of a new Advanced Recycle Filter Tank Assembly in support of transition to new pre-treat formula which aims to increase the amount of urine that is recycled into potable water.